Empanadas are a popular and practical local specialty. They come in different flavors and regional styles. Empanadas are convenient and easily transportable. They can be served as a meal, or appetizer, and are also popular party food and are eaten hot or cold. Empanada delivery is available in all parts of the city, and you would be hard pressed to find a restaurant or bakery that did not sell them. I have also experimented with making my own empanadas at home! 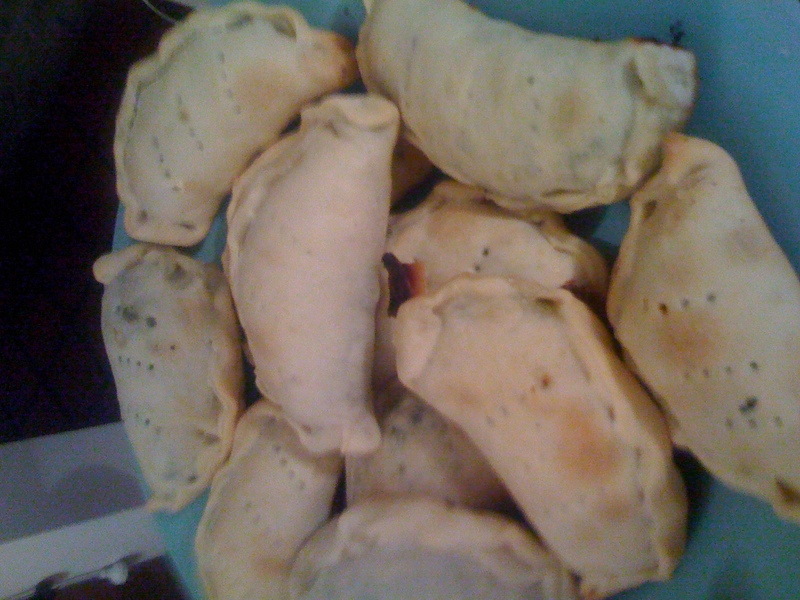 We made empanadas with a filling of frozen spinach and chickpeas with yellow curry. This is not a traditional flavor, but they were delicious. 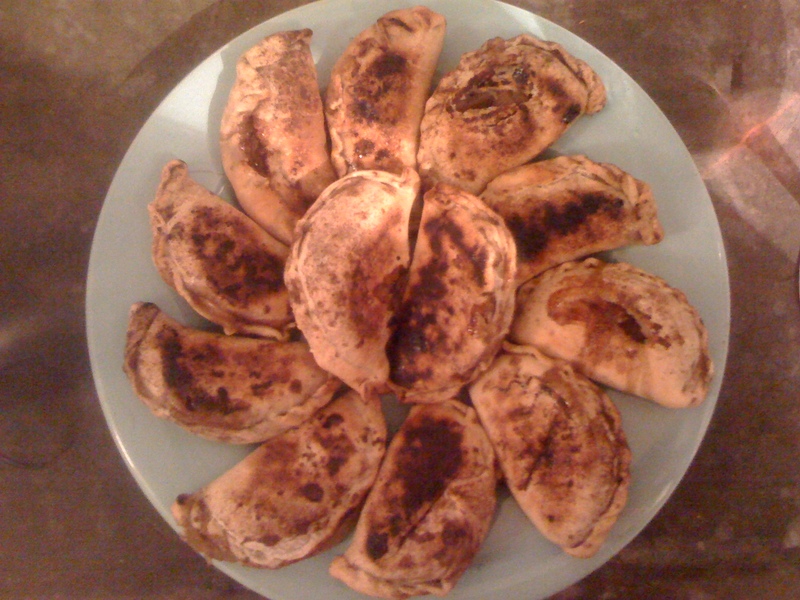 We also made dessert empanadas with homemade apple cinnamon filling. They didn’t turn out as well as hoped, but still pretty good. I can’t believe we don’t have empanadas in the US – where fast, portable, filling food is so highly valued. Any entrepreneurs out there looking for a business idea?…. I made empanadas for extra credit in my 9th grade Spanish class! I made some with apple sauce and I’ve since made some with a beef mixture for one of my parties. The ones you made look MUCH nicer! Miss your face. I love your blog! You do a wonderful job sharing your life in BA. There ARE empanadas in the states!!! Where did you live that there were none to be found? They are relatively easy to find. 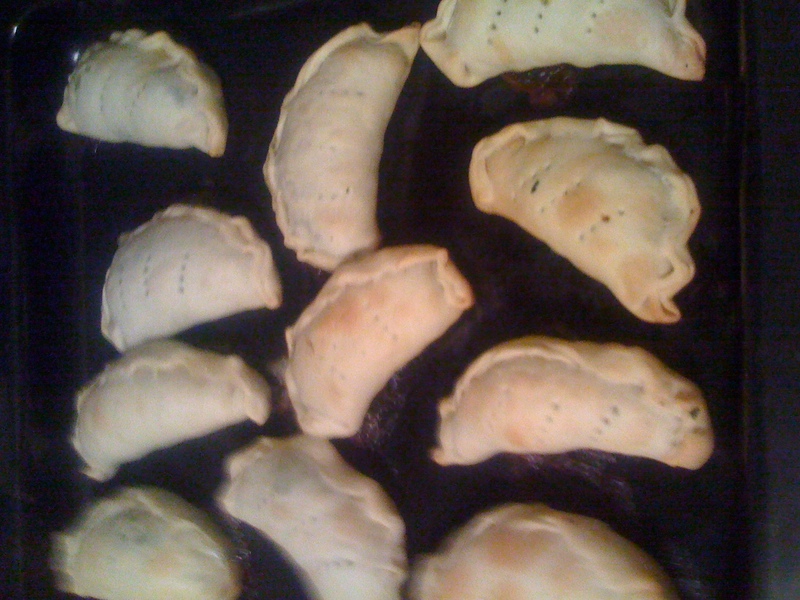 Day After the Asado – Empanada Recipe! | .My.Beautiful.Air.